Some Rogers wireless customers are having issues using their virtual private networks (VPNs) over LTE or 3G. Following a 2017 issue that affected VPNs using LTE through the low-security Point-to-Point Tunneling Protocol (PPTP) — which was subsequently fixed with a workaround — a group of Rogers customers are now facing what seems to be an extension of that issue. 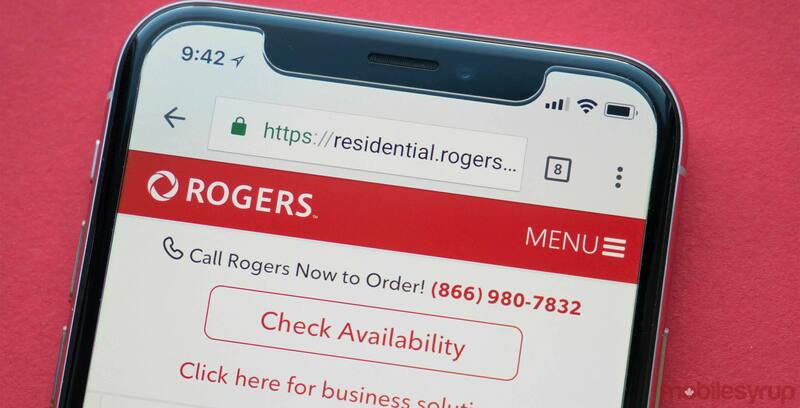 Rogers confirmed to MobileSyrup that though the new issue is related to a third-party application or applications (most forums users reported using Nord VPN), its support team has reached out to the affected users so it can help troubleshoot the issue. The person who started the most recent issues thread noted that they were having trouble with an IKEv2 IPSec VPN through Nord VPN on their iPhone 7. IKEv2 IPSec is a significantly more secure protocol than PPTP that uses strong cryptographic algorithms and keys. According to the aforementioned Rogers subscriber, the problem is that some websites would load, but others (like Reddit) would not connect. However, using a Telus SIM or an OpenVPN port (OpenVPN is yet another highly secure protocol), they were able to connect just fine. Many commenters noted that, as with the 2017 issue, the problem might be specific to Internet Protocol version 4 (IPv4) versus Internet Protocol version 6 (IPv6). Both are protocols used to identify devices on a network through an addressing system. IPv4 is the most widely deployed protocol for connecting devices to the internet, while IPv6 is the next generation, designed to handle increased demand for IP addresses. IPv6 has a number of benefits, including built-in authentication and privacy support. Some users on the forums suspected that Rogers enabled IPv6 only and stopped use of IPv4. This is a particularly difficult situation for iPhone users, the commenters report, since forcing their phones onto IPv4 is a complex process, and didn’t lead to a successful LTE connection for some users. So, while the 2017 issue was mostly constrained to PPTP VPNs, this time the issue has expanded to IKEv2 IPSec VPNs. VPNs are employed by users to send and receive data across shared or public networks as if their computing devices were directly connected to a private network. They’re generally used for purposes of security and privacy. Were you affected by this issue? Let us know in the comments.